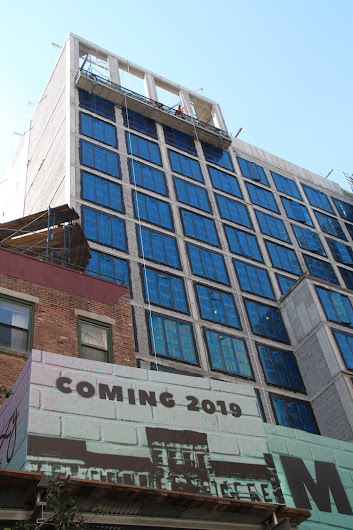 The coming-soon signage has arrived at the Moxy East Village on 11th Street between Third Avenue and Fourth Avenue. It's not known if the glasses actually represent urbanist-activist Jane Jacobs ... or, perhaps, science buff Velma Dinkley from "Scooby-Doo." 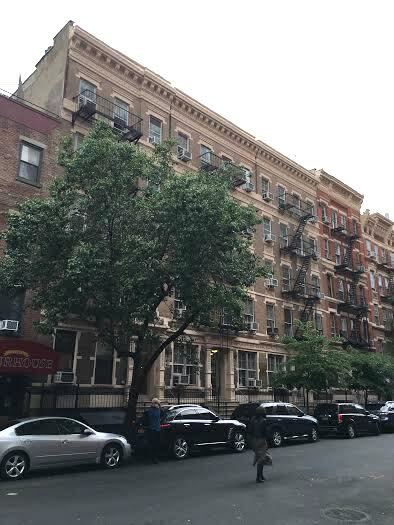 In June 2016, local preservationists made their case to the Landmarks Preservation Commission (LPC) to designate East 11th Street between Third Avenue and Fourth Avenue a historic district in a bid to save the five residential (circa 1887-1892) buildings from demolition. However, the LPC ignored the request, Andrew Berman, executive director of the GVSHP, said at the time. Representatives for GVSHP, the Historic Districts Council, the Lower East Side Preservation Initiative and the East Village Community Coalition all signed a letter appealing to now-former LPC chair Meenakshi Srinivasan. 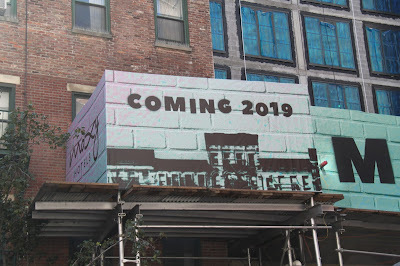 In any event, the use of tenements photo-printed on the sidewalk bridge — a simulation of the local New York streetscape the hotel destroyed — is reminiscent of Target's faux storefront/TRGT grand opening last summer on 14th Street. 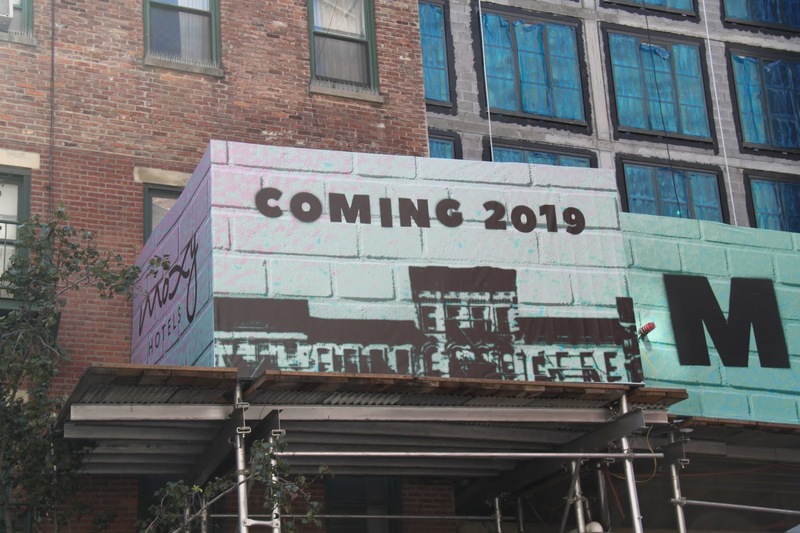 The 13-story Moxy East Village is expected to open in late 2019. Gross, same marketing people as the tone deaf Target? I hope CB3 will not allow multiple liquor licenses and bars there for the Bart crowds to come. The only positive about the Moxy is that it might attract the neighborhood Fratrats and help close down the other noisy sports bars in the hood. Just saying, praying and staying positive. You know they are shoving this government subsidized gentrification in our faces right. It shows they are cognizant of the vilification and notoriety they get and are gleefully bathing in it and bating the communities of the areas they subsume. I am not religious, but they are going reap what they are sowing.